Wet felting can be fun in its own way, but it’s messy, takes up space, and is relatively unpredictable. For me as a tapestry artist, a medium where the ability for precision is a cultivated skill, wet felting becomes very frustrating. 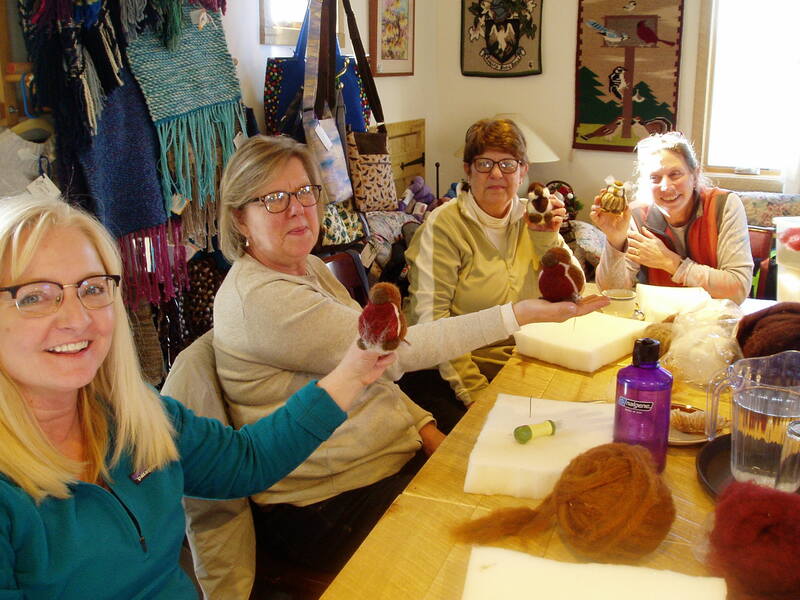 But when I tried needle felting two Januaries ago, I thought, “Yes, this is it!” Working with pipe cleaner armatures, the class focused on forming creatures from wool roving using a single, barbed needle. The process was dry, tidy, relatively controllable, and like magic. That fiber arts magic of forming something from almost nothing (yarn, puffy wool) found yet another expressive outlet through this medium. What if, I wondered, you could actually use this tendency of the wool to knit into the foam to your advantage? So I began with a foam ball as the core and developed my own songbird shape, which has been a popular hands-on class at Farmstead Creamery. Starting with the ball saves considerable time from having to make that same form from wool, jump-starting the project to a much more interesting and creative phase. More recently, the foam ball starter has also grown to include rabbits, sheep, ducklings, and other fun and adorable creatures. I plan to soon create kits and video tutorials, which will be linked to this page! It’s another exciting way to utilize the delightful wool from our sheep as well as encourage creative expression and three-dimensional thinking. It certainly uses different parts of my brain than tapestry weaving (and with much quicker results). While I feel that I’m still just getting started with exploring the medium of needle felting, sharing what I’ve learned through area classes has been tremendously rewarding and a great way to practice the “learn and teach” model. And what fun it is to see your project literally take shape! Sharing the magic of fiber arts always leaves me with a great smile. So if tapestry feels daunting but you want to jump into fiber arts, needle felting might be just the right mix of playfulness and technique study for you. There really isn’t a wrong way to do it, so long as you keep your fingers away from that needle! I’ll continue to post as the journey continues. 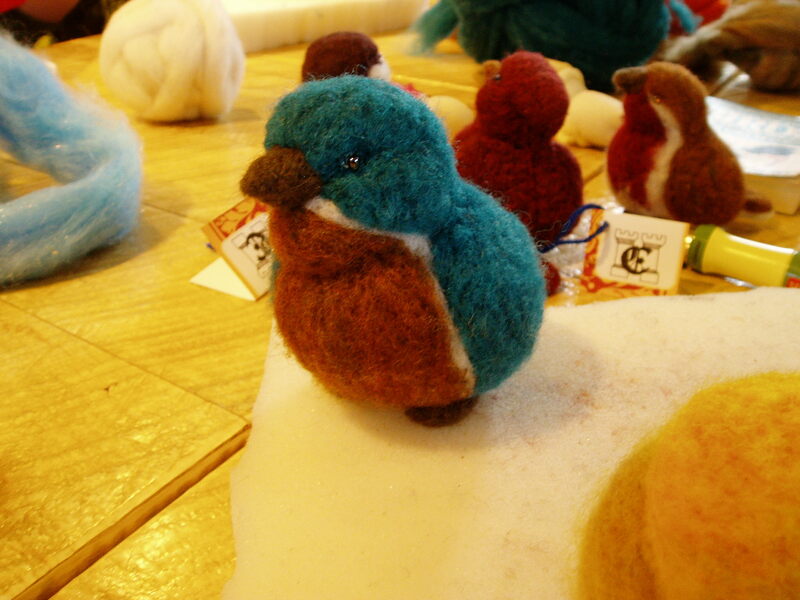 More felting adventures to come!